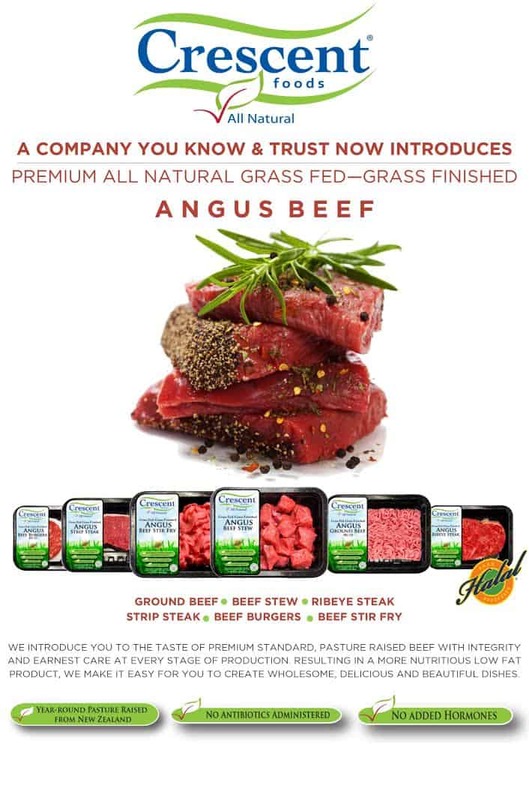 A company you know and trust, is proud to announce the revolutionary launch of Grass-fed Grass-finished Premium Angus Beef in select retailers. In Bringing You the Best, We Couldn’t Settle for Less. 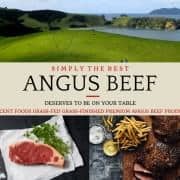 So with that in mind our mission is to provide you with All Natural Premium Grass-Fed, Grass-Finished Angus Beef straight from the pastures of New Zealand. A quality product that just doesn’t taste delicious but cooks to perfection. 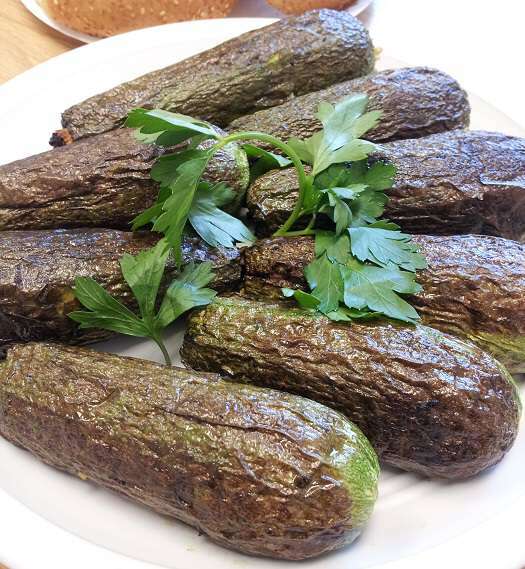 One that’s wholesome and nutritive, with no hormones or antibiotics. Because at the end of the day we want to bring you simply the best, something that we would only bring to our dinner table. Crescent Foods Grass-Fed Grass-Finished Angus beef is leaner and juicer, thanks to higher moisture content in addition to having more omega-3 fatty acids, vitamin B6 and beta-carotene. Also, grass fed beef has fewer calories per serving plus lower cholesterol. Here is why our beef makes the cut! If you follow me on Instagram and Facebook you probably remember me tweeting out photos before Eid ul Adha of my trip to a facility and hen house right here in the Midwest where the folks at Crescent Foods raise and process their chicks for Halal poultry products that are widely distributed across U.S. supermarkets and stores like Wal-Mart. 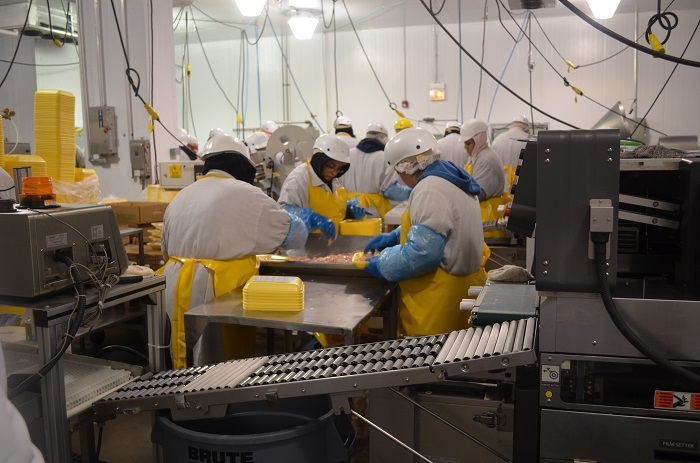 I had the honor and pleasure of a follow up visit to their Chicago processing plant so that I could see where the chicks are raised and to witness the actual Halal processing of the birds at the plant where all of this takes place. lies a really clean facility that processes the Crescent Foods poultry. well-circulated air for chicks and their caretakers to breathe clean air that is free of any foul smells. The chicks have a lot of room to move around, despite how many are actually in the hen house. It doesn’t feel or seem as though there are many housed there, perhaps because they are at ease and none seemed nervous or disturbed. They could travel to and fro and actually seemed quite interested in us who came to visit them- signs of being healthy and alert. Those pictured here are quite young still so they didn’t have many feathers. 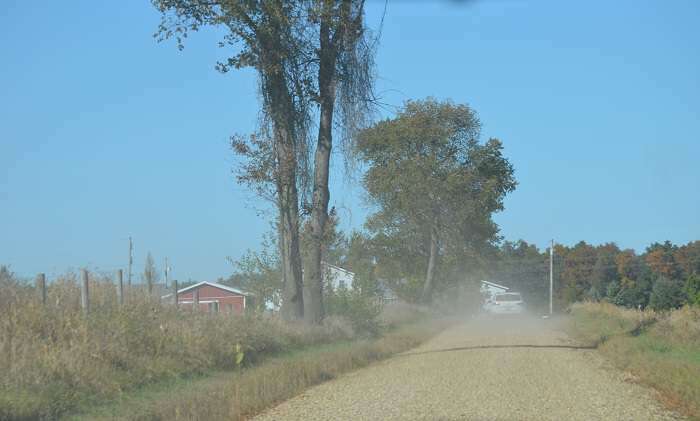 At about six weeks they will be transported to the processing facility for processing. 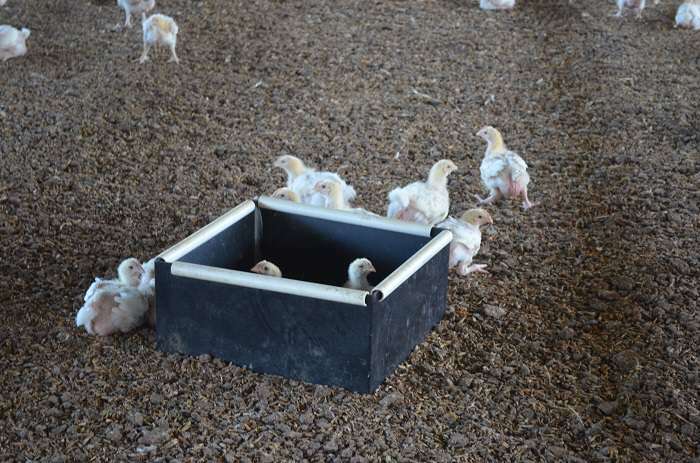 It’s so easily noticeable that the chicks have lots of room to take in water and (antibiotic-free) food- an incredibly important detail in raising any livestock. 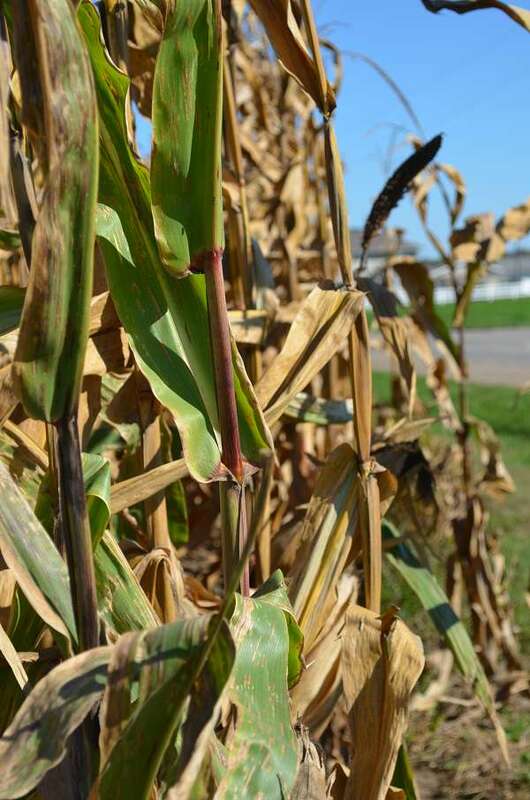 How can they possibly be healthy if this is not maintained? I didn’t expect to see this little black box (pictured below) that the chicks can use for some private time, away from the other chicks- some really were in and out of that space, as if they knew exactly what it was for. 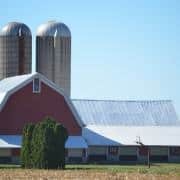 What a great idea, and it’s actually one of the steps needed for farms to gain GAP-certification when doing so. 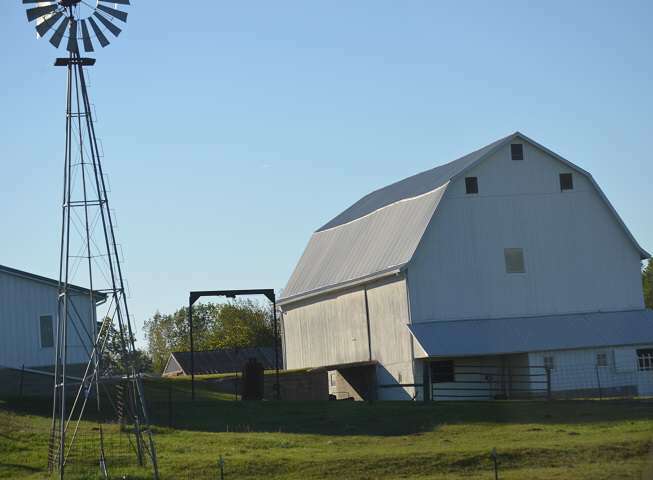 To read more about the Global Animal Partnership, and their goal of improving animal welfare in agriculture, read more here. 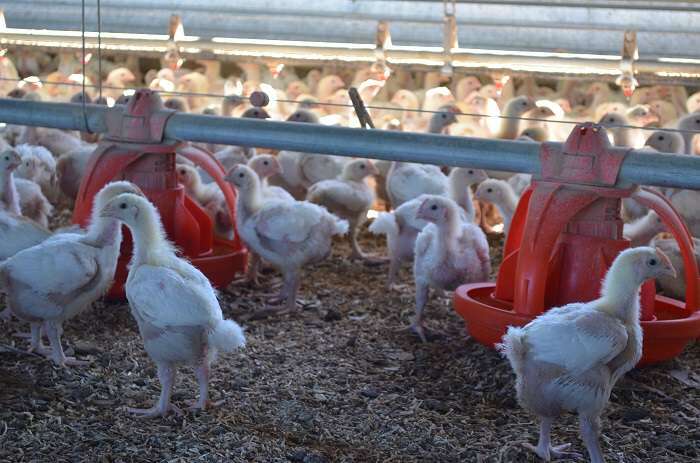 Once the chicks have reached the target age and are obviously in good health, they are transported to the processing plant several miles away. I saw a couple truck loads of chickens like this and none of them seemed nervous or flighty. 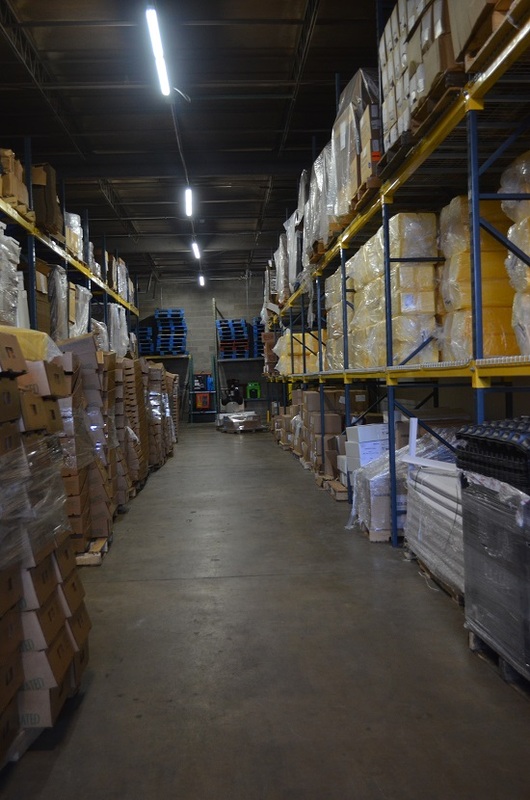 Back at the processing facility, I was able to witness so much. It should be duly noted that the birds are alive at the time of hand-processing. The room in which this is done is a completely different and separate room from anything else in the entire plant. First of all, it’s a dark room with blue lights, said to calm the birds down. I think that works because I didn’t hear a single bird squawk or see any of the birds ruffle their feathers too much. It’s very important for the birds to be calm (as it is for any livestock, for that matter) because it keeps the process humane and protects the birds from hurting themselves by breaking a wing or body part if they become anxious and scared. I learned a lot about how much thought goes into this process, as Mr. Adam talked me through the whole process and explained the why’s and how’s of it in its entirety. 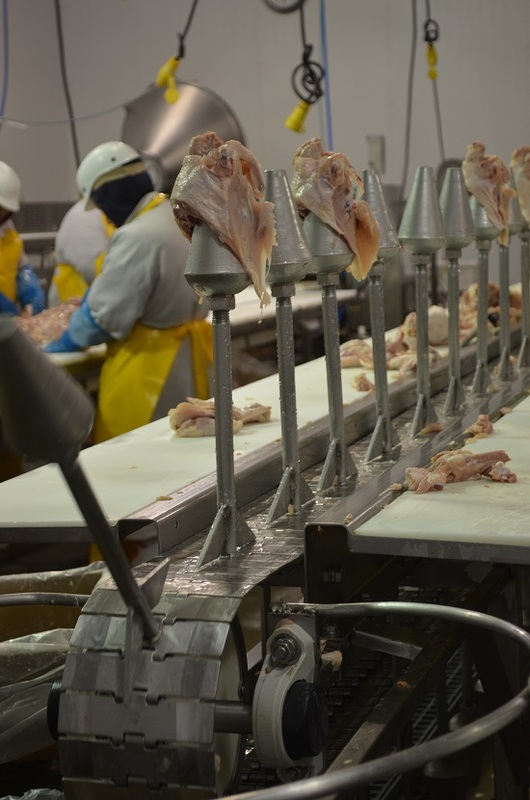 About 90,000 birds are processed here and in this way, every single day. 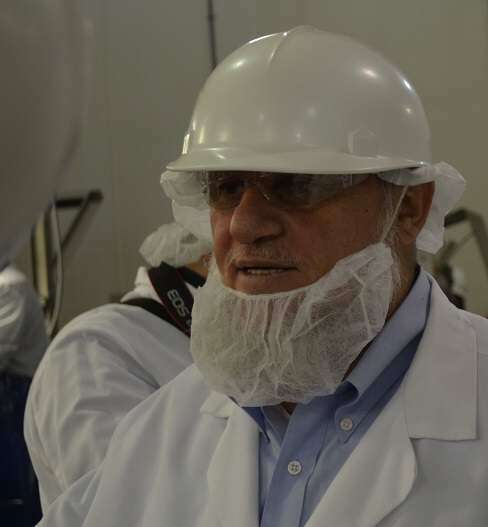 Mr. Ahmad Adam, Founder and CEO of Crescent Foods, partners with the processors who oversee how his birds are raised, maintained and processed every step of the way. Photographed below, his sharp perception of every minute detail never ceased to impress upon me the serious approach he takes towards the integrity of his products, which is evident in all the others who are part of the team effort it takes to make that happen. 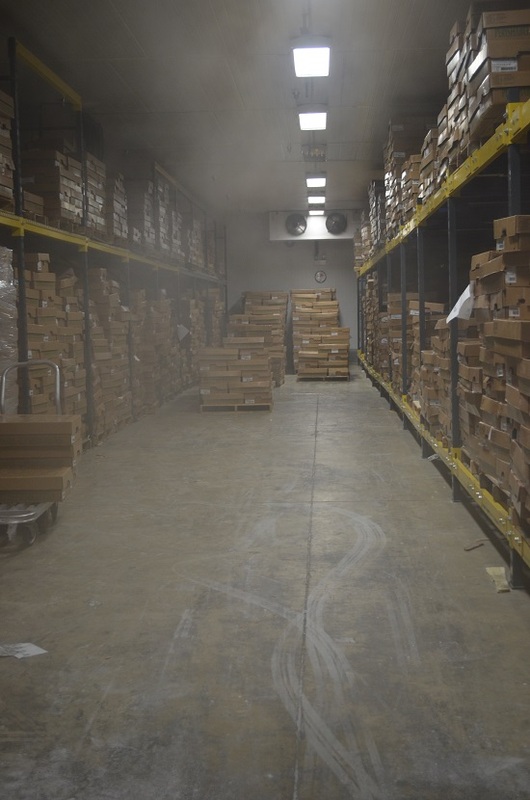 In the same facility I was able to see the enormous production process of everything from how the birds’ feathers are steamed clean off of their bodies to how the USDA inspectors check for quality standards and grade the birds. 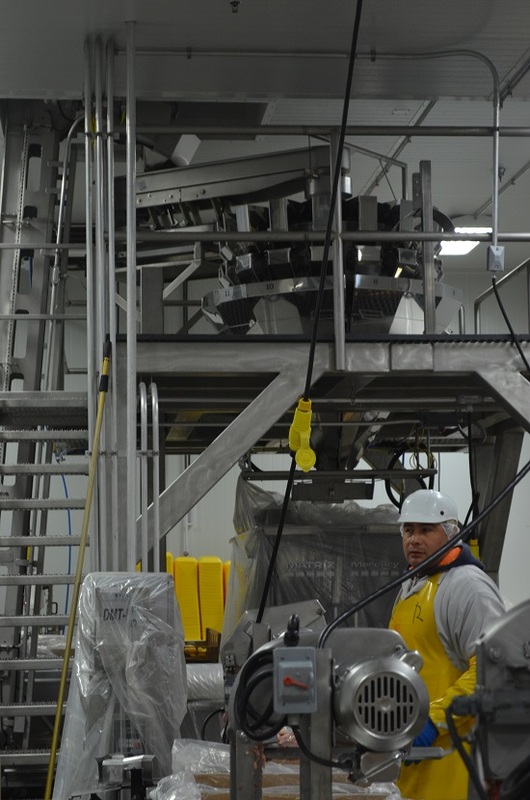 Then, of course, comes the further processing of cutting, de-boning packaging what is now the meat of the bird. 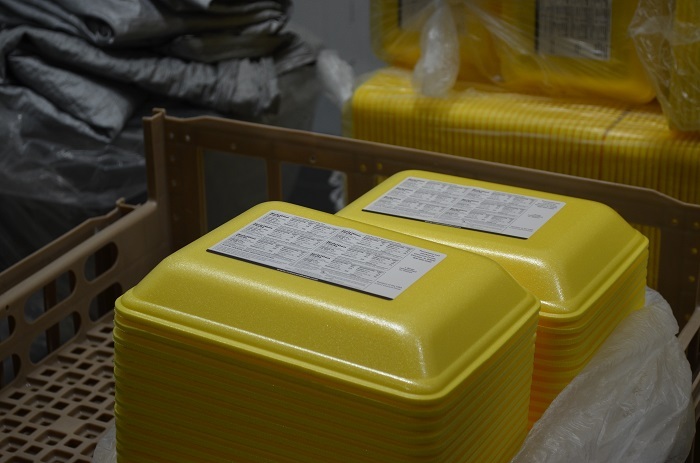 Although we were not able to take photographs of this part, I asked a little more on the topic of inspection. 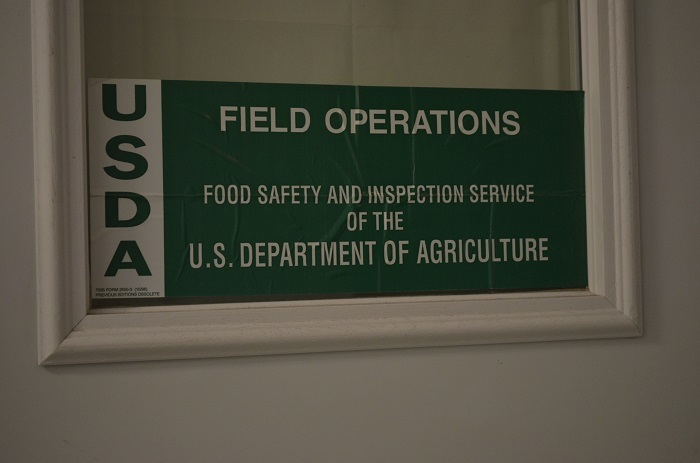 Interestingly enough, there has to be a USDA inspector on the line at all times or the birds cannot be processed and all production has to stop. 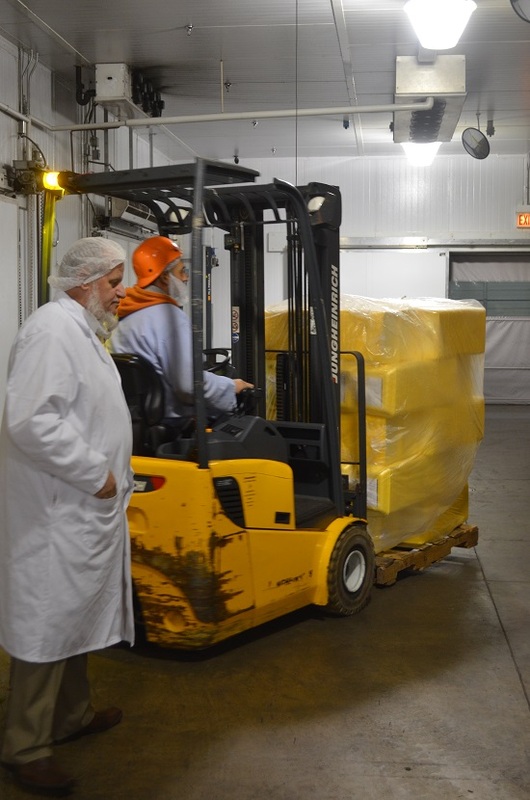 For more photos and details about how Crescent Foods processes their halal poultry products, check out my post on the tour I took of their Chicago processing plant– a fascinating glimpse at their uniquely modern facility jam packed with halal assurance and a high dose of integrity we as a community can feel very good about supporting. Are you much more likely to buy a product that is as transparent as Crescent Foods is here in showing us how their chickens are raised? I’d love to hear your thoughts. That’s why I asked if I could go to to the Crescent Foods plant located in our backyard here in Chicagoland so I could see how one takes a simple raw product like a whole bird and make it look so clean and beautiful on store shelves- all in a day’s work of this family-run halal poultry business started by Mr. Ahmad Adam and run with help of an incredibly dedicated staff. I was greeted by the team I’m most familiar with- Joohi Tahir in Marketing, Asma Khan in Operationsand of course, Br. Ahmad Adam, the ever-present Founder and CEO as well as his two sons who are a clearly integral part of operating the company so well. Chicago – A Paris-based designer recently partnered with a Chicago Muslim woman to create a new line of modest swimwear called Couture Swim N’ Sport. Similarly, in the last year, 77 Walmart stores started to carry Crescent Halal chicken and the Ritz Carlton in Dallas, Texas now offers prayer rugs in its rooms and Arabic channels for its guests. While these developments may not affect the spending behaviour of every consumer, it is folding Muslim culture into the Western mainstream, and showing that there are a myriad of opportunities for joint partnerships between businesses run by people from different faith and cultural backgrounds. This can lead simultaneously to better understanding and a more lucrative bottom line. Even though some companies have made strides in offering more culturally-inclusive product lines, there are still some untapped areas of the market. The holidays, for instance, are a time when Muslims may wish to see Ramadan and Eid gift wrap or decorations alongside Christmas trees and menorahs. Some online stores have Muslim holiday cards available, but for the most part, major corporations have not fully tapped into this market. So far, it is mostly Muslim businesses that are catering to the demand. Every company has expansion on the agenda. This means that if businesses want a share of this market, they need to adapt. And that’s exactly what some companies are doing. With fashion, food, finance and travel the four main sectors where mainstream companies can target the Muslim consumer, home décor, cosmetics and other sectors are not far behind. 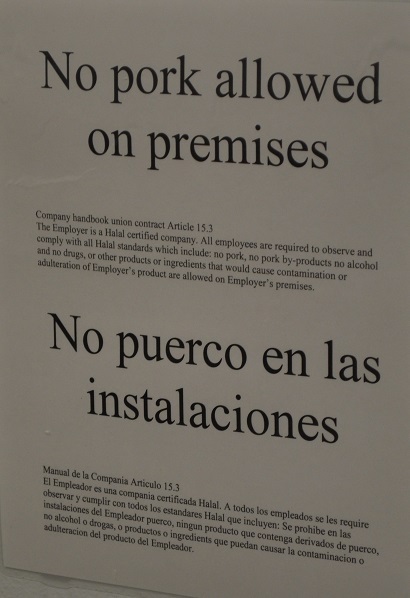 Many Muslims follow a halal dietary code that is devoid of pork and alcohol and requires meat to be processed in a certain way. Similarly, while Muslims, women in particular, are not limited to dressing in just one way, many prefer loose clothing with more coverage for modesty. While tapping the Muslim market has clear financial advantages for companies, there is also an added benefit. By catering to the market demands of Muslims, businesses may be creating spaces for intercultural exchange and inclusion. While the explosion of online shopping has made it easier to fulfil orders from across the globe, the need to be culturally aware isn’t limited to brick and mortar retailers. The new “www” means “wherever, whenever and whoever” wants to buy; businesses have to be ready with the right product. In most instances, the Muslim market is not an exclusive club. You do not need to be Muslim to enjoy farm-raised Crescent chickens that are fed a vegetarian diet. And you do not have to belong to any particular faith group if you want to avoid exposure to the sun or don modest swimwear. As these products are placed on the market, non-Muslims are seeing the benefit too. Fifteen-twenty per cent of the orders for modest swimsuits come from non-Muslims, including celebrities like British food diva, Nigella Lawson. Perhaps that is why the Crescent halal chicken isn’t tucked away in some ethnic grocery aisle, but sits next to other brands of poultry. In a world where technology and travel erase geographical boundaries, every smart marketer knows that the one-size-fits-all mantra is not going to work. By expanding product lines to cater to people from all ethnicities, there are options for all consumers, even those that hardly had any to begin with. By adapting to an inclusive market we are in turn giving our children a mini trip around the world right at the grocery store and proving that businesses can build bridges too. * Kiran Ansari is a writer for publications including the Chicago Tribune, Daily Herald, Halal Consumer and Azizah Magazine. She lives with her husband and two children in the suburbs of Chicago. This article was written for the Common Ground News Service (CGNews). 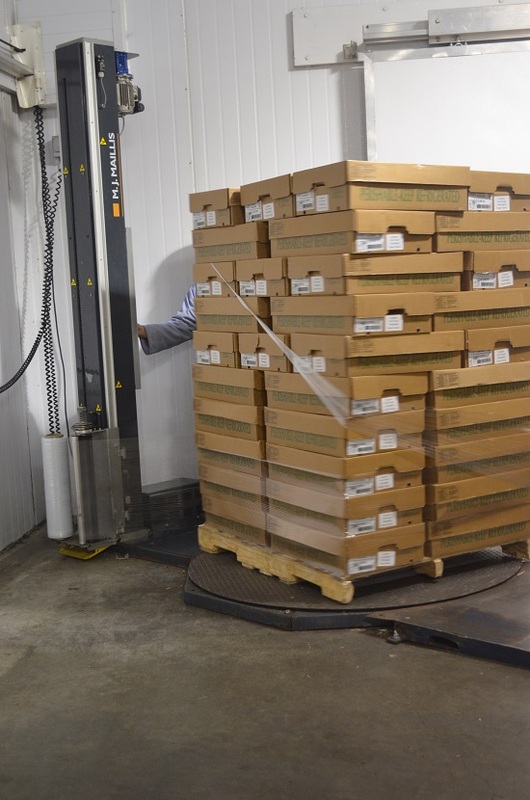 In response to a sizeable and growing demand on the East Coast, Crescent Foods, the leading provider of premium Halal chicken, is now available in retail stores in New Jersey, Pennsylvania, Maryland and Delaware. 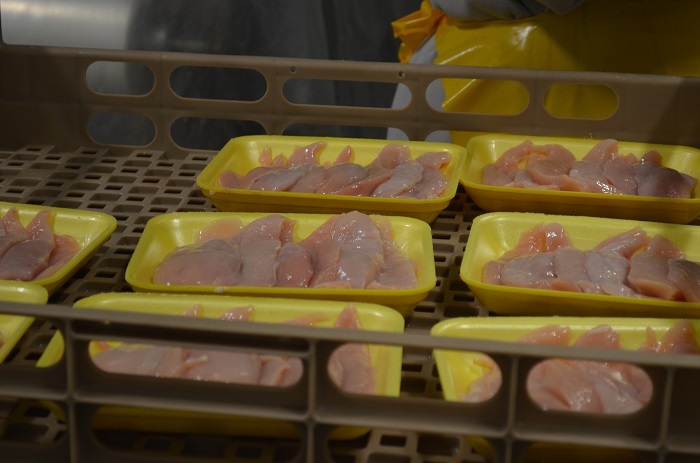 Crescent Foods market research has shown that once consumers try Crescent chicken, they can taste the difference of how chickens that are raised cage-free and fed a 100% vegetarian diet without antibiotics translate into more wholesome meals. For a complete listing of stores that carry Crescent chicken, visit www.crescentfoods.com and like us on Facebook to be the first to know about new products and special offers. Crescent Halal Chicken Now At a Walmart Near You! 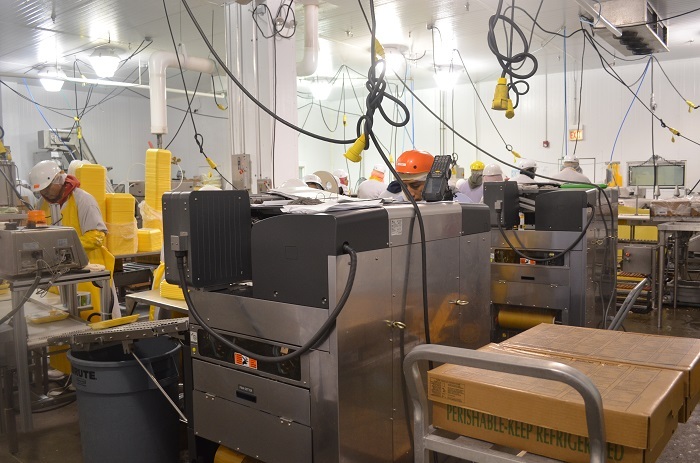 Crescent Foods, the nations’ leading provider of Premium Halal Chicken is now supplying their quality products to 62 new Walmart Supercenter and Walmart Neighborhood Market locations across the country in addition to the existing 15 they have been serving for close to 4 years. 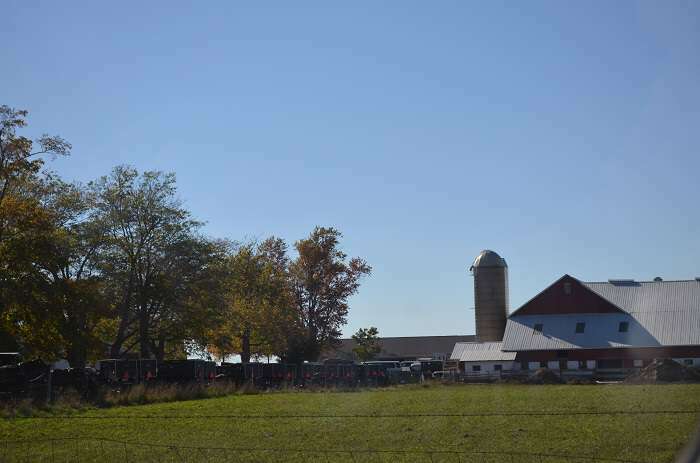 New Jersey, Pennsylvania, Texas, Ohio, Wisconsin, Indiana, Maryland, Delaware and Iowa have joined Illinois and Michigan to become the first eleven states where consumers can buy the chicken they trust on a regular grocery trip. 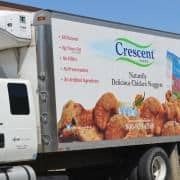 “We have been inundated with requests from consumers asking us when they could buy Crescent chicken in their state and we are excited to be able to cater to that demand,” said Joohi Tahir, Vice President of Marketing at Crescent Foods. “It makes good business sense for us to cross over to the mainstream market and for Walmart to recognize the potential of this All Natural and Premium Halal product. 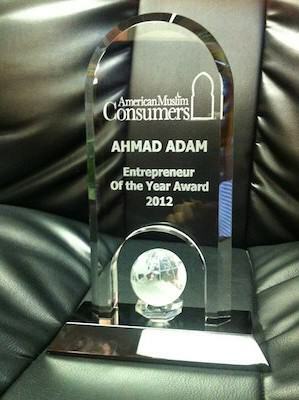 After all, the Halal consumer is a significant growing market sector with purchasing power of over $170 billion a year”. Crescent consumers know that the Premium Halal Chicken they buy is a better choice for their family’s health. 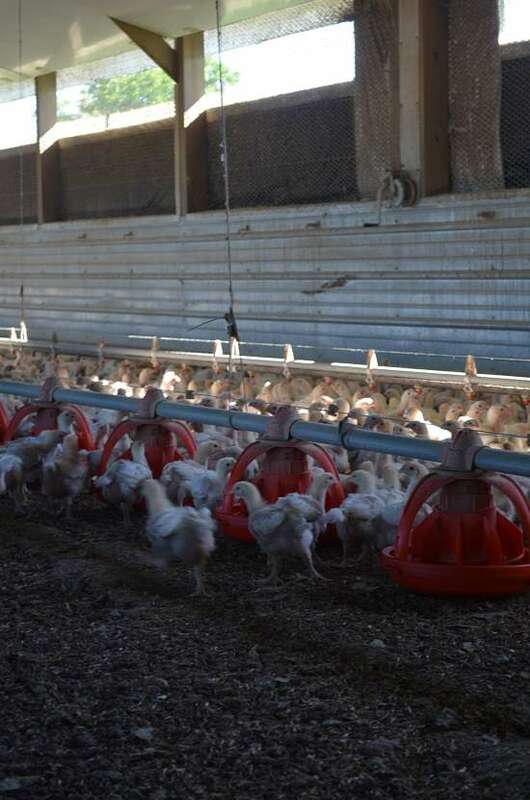 The chickens roam cage-free and are able to grow naturally without antibiotics or hormones. They are raised and processed humanely and fed a 100% vegetarian diet free of by-products of any kind. All Natural. Pure & Simple®. Walmart currently carries an assortment of items including Crescent whole chicken, boneless skinless breast fillets, leg quarters, thighs, boneless skinless thighs, drumsticks, ground chicken and wings. 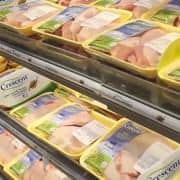 For a complete listing of stores that carry Crescent chicken, visit www.crescentfoods.com and search by state on the Where To Buy Tab or visit us on facebook.com/crescentfoods. 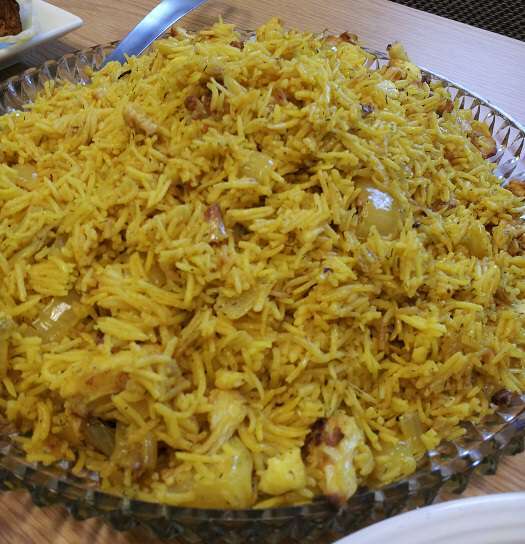 https://crescentfoods.com/wp-content/uploads/2013/08/logo-1.png 0 0 HalalUser https://crescentfoods.com/wp-content/uploads/2013/08/logo-1.png HalalUser2013-11-04 23:19:472013-11-04 23:19:47Crescent Halal Chicken Now At a Walmart Near You! Supermarket Guru, Phil Lempert reviews and names Crescent Foods Chicken patties a HIT on his popular “New Products Hits & Misses” video review show. Phil Lempert’s review of our product was posted on March 14, 2012. Look for it at www.supermarketguru.com or see video below. Crescent Halal Chicken Patties were reviewed on taste, nutritionals as well as the value added packaging and resealable zipper pouches and scored well with the Supermarket Guru. Crescent Foods Premium Halal products are known to be all natural, healthy and humane. 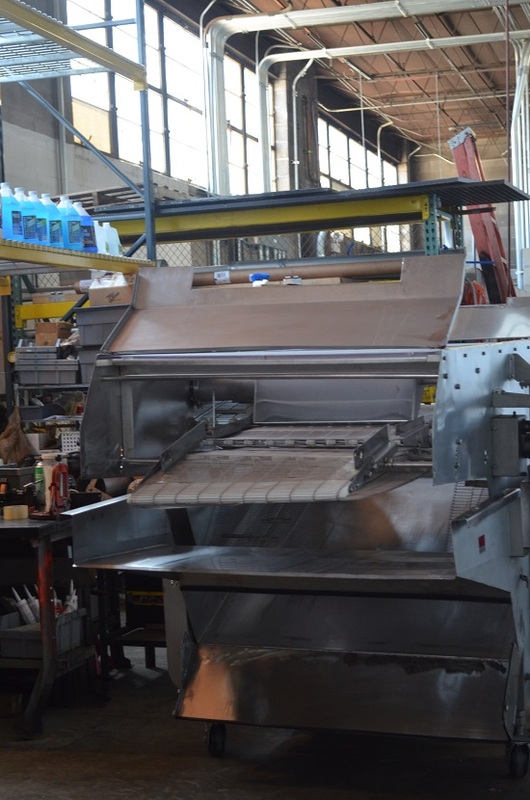 Crescent Foods will strive to be the leading provider of Premium Halal Foods in the Food Industry. 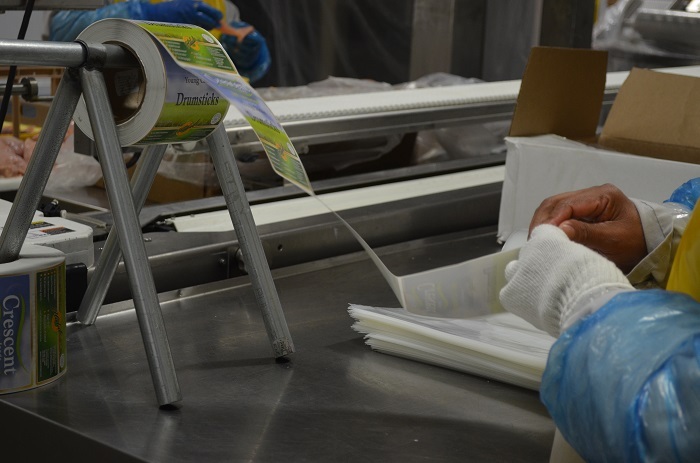 Crescent’s production processes, use of technologies, distribution, products, and service will exceed in quality and innovation in order to be at the forefront of the Halal Industry. 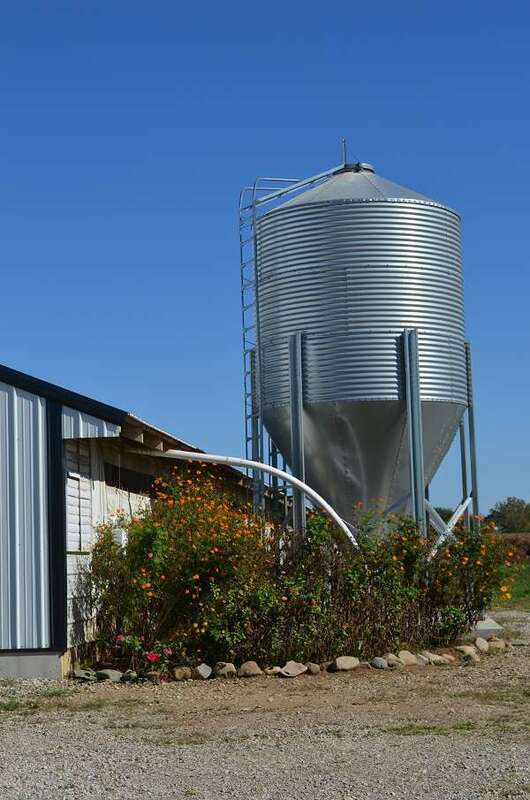 Our chickens are raised in ventilated sunny barns and are 100% vegetarian fed, cage-free, and all natural hand processed Halal. 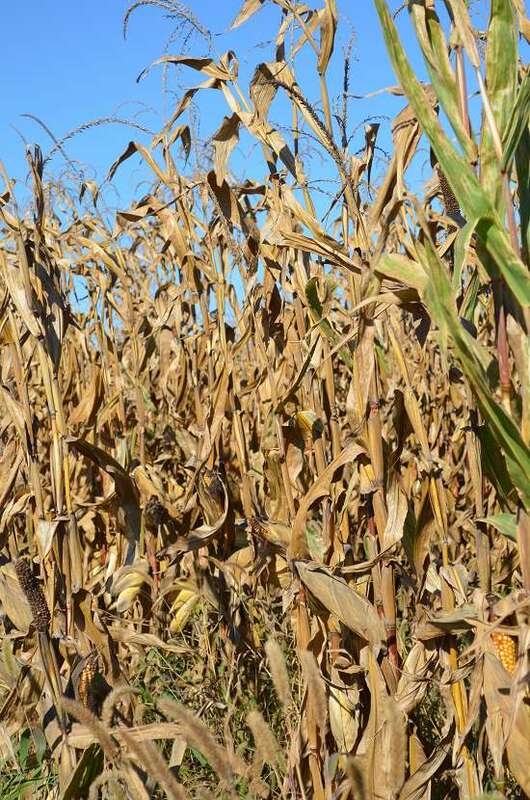 They are free of hormones, coloring agents, artificial ingredients, and preservatives. www.crescentfoods.com. You can also join us on Facebook and follow us on Twitter. As many members of the Muslim community know, finding a reliable brand of Halal chicken on store shelves can sometimes be a difficult task. 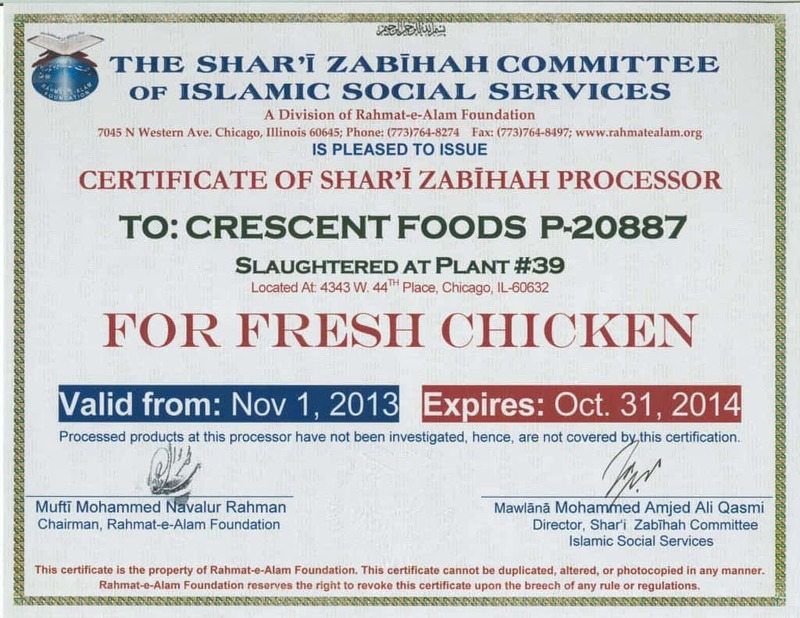 But thanks to companies like the Chicago-based Crescent Foods, more and more Halal chicken products have been showing up on the shelves of grocery stores and mainstream markets. 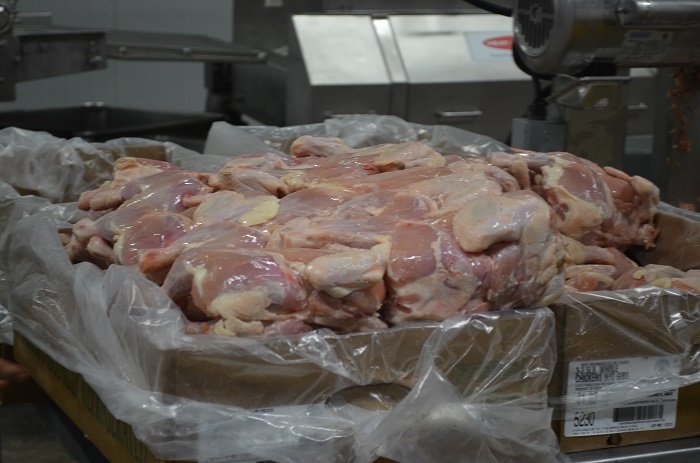 Crescent Foods, which distributes all over the country and has seen its operations expand greatly since the company was founded in 1995 as it has become a major supplier of Halal chicken products. VP of Marketing & Sales Joohi Tahir said the company is optimistic about the opportunity to serve more and more customers. 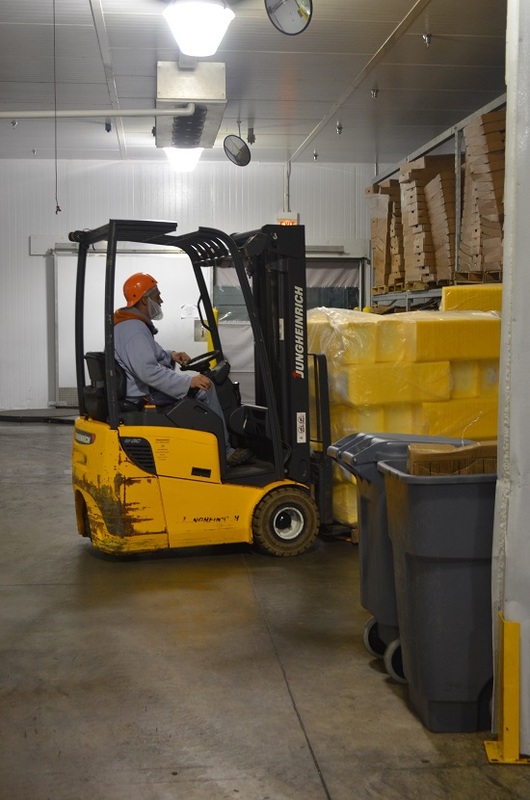 “We’re seeing a rise in demand for Halal poultry at the mainstream retail level and it’s very exciting for us,” Tahir said. 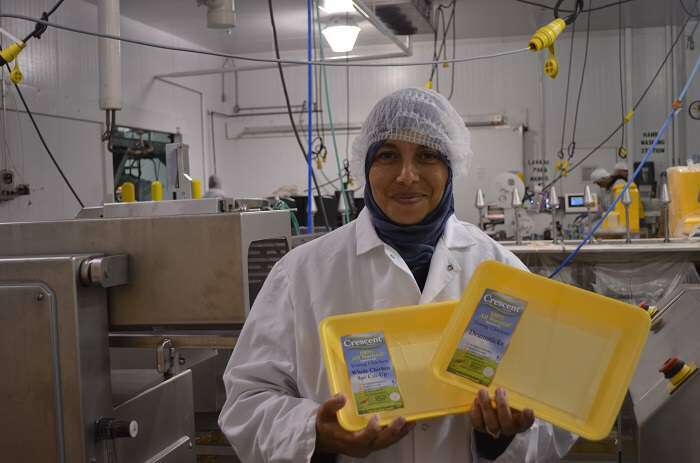 “We’re very happy to supply that demand and now it’s easier than ever for customers to grab it from the grocery store of the local shop.” With the growing demand of Halal in mainstream markets Crescent was sure to be in the forefront. You can find Crescent on retail shelves such as Walmart , Shop-n-Save, Tonys, & Produce World among many others. The rise of Crescent’s customer base can be attributed to two main factors; the first is the increasing size of the American Muslim community and the second is the increasing base of non-Muslim customers looking for a better quality of meat. 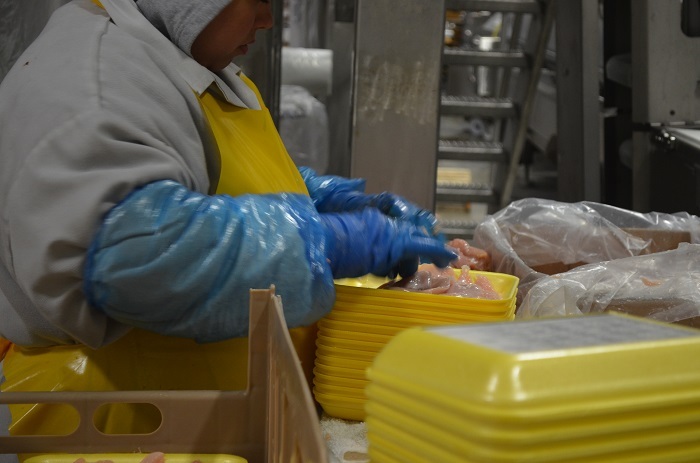 With the growing awareness of the industrial “farm” factories, consumers are no longer comfortable picking up just any chicken on the shelves. In today’s food market, our animals are going from farm to factory. On the other hand, you have Crescent chickens which are raised on local farms in Indiana where they are allowed to roam rather then forced into small darkened cages and are handled humanely the way Halal standards teach us. 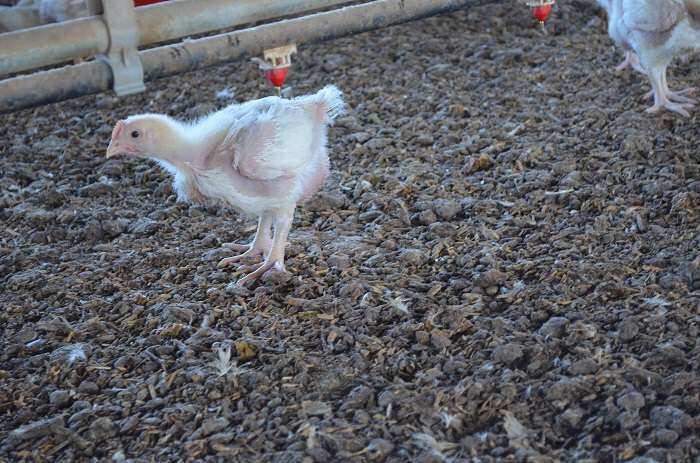 They are also raised without hormones, antibiotics, food coloring, and preservatives. 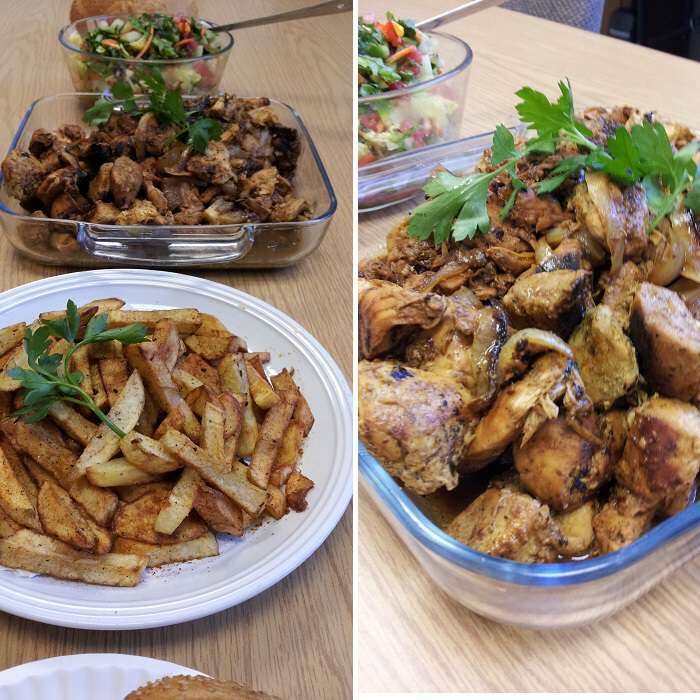 With the growing demand for a better healthier chicken in the mainstream markets Crescent Foods has been in the forefront. Walmart recently completed a deal with Crescent Foods to supply products to the world’s largest retail chain. 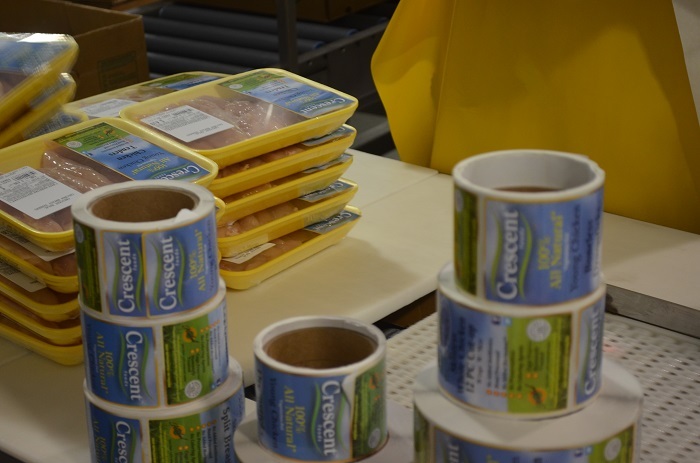 Seven Walmart Supercenters in the Chicagoland area now stock a range of Crescent chicken products, as the first deliveries were completed early May to stores in Niles, Mount Prospect, Waukegan, Plainfield, Aurora, Romeoville, and Oswego. 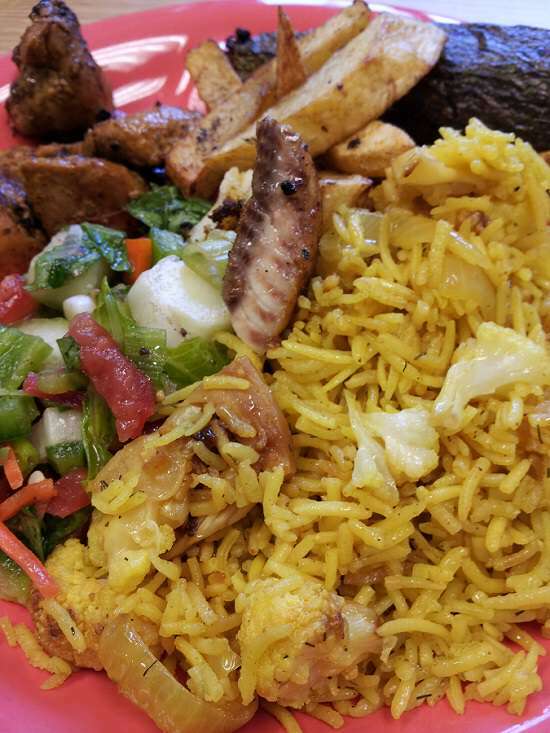 Crescent has been supplying Walmart supercenter locations in Michigan with Premium Halal Chicken for over 2 years and has now been asked to serve Chicagoland. Also exciting news for all – a new line of Premium Halal Crescent Chicken Nuggets and Spicy Chicken Wings will be expected to hit store shelves soon! Also, join us on Facebook www.facebook.com/crescentfoods. 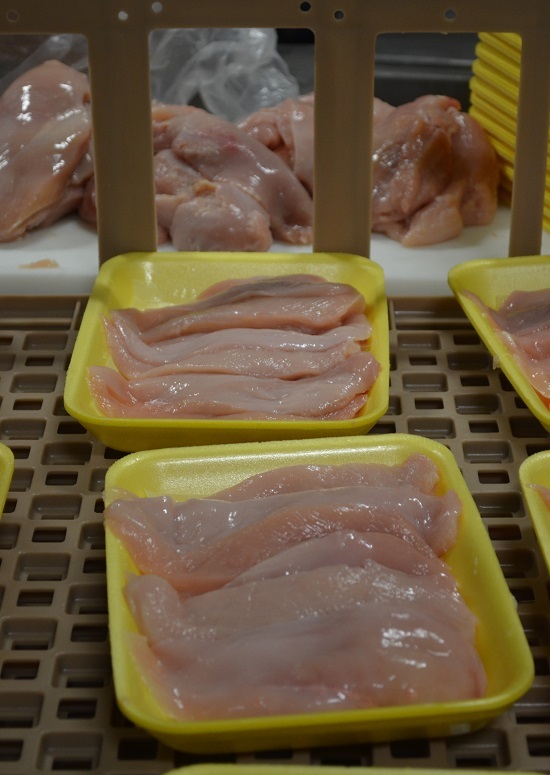 Walmart recently signed a deal with Crescent Foods, a Chicago-based Halal chicken producer, to supply products to the world’s largest retail chain. 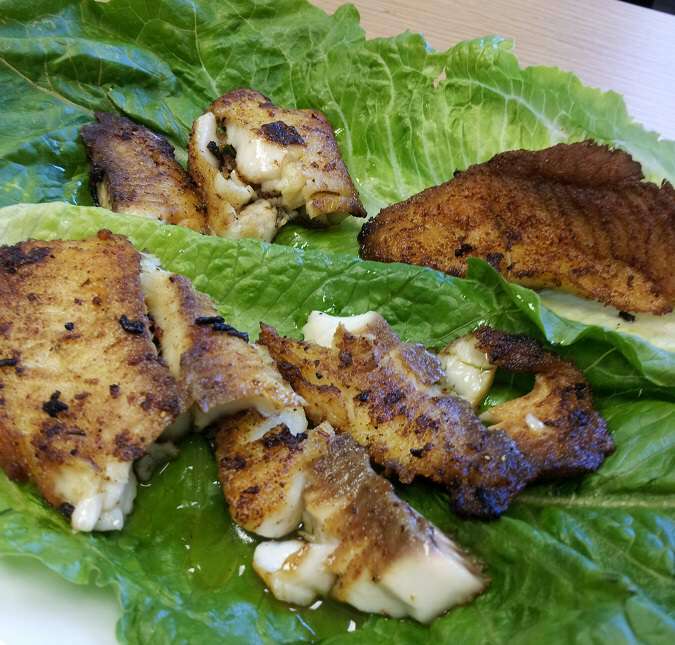 Five Walmart stores in the Michigan-area now stock a range of eight different Crescent chicken products, as the first deliveries were completed in November to stores in Dearborn, Sterling Heights, Rochester Hills, Chesterfield and Shelby Township. 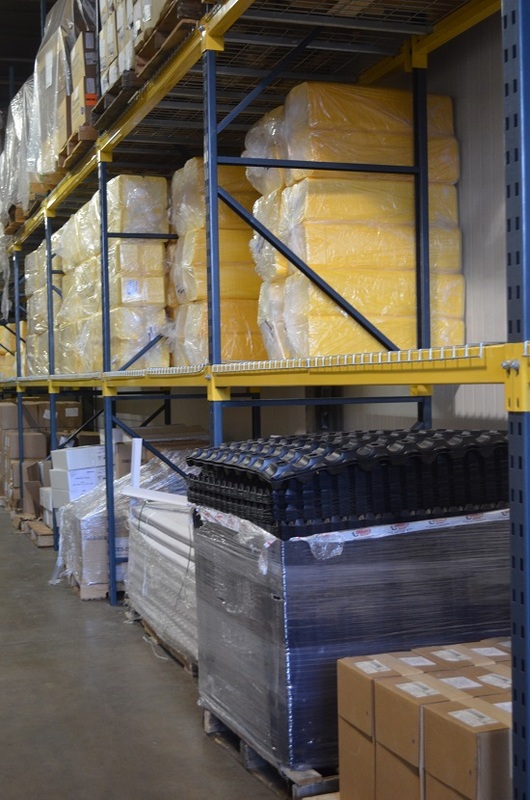 Negotiations began in September 2008, when one of Wal-Mart’s buyers approached Crescent’s distributor in Colorado. CEO Ahmad Adam talked about the importance of quality in his products. 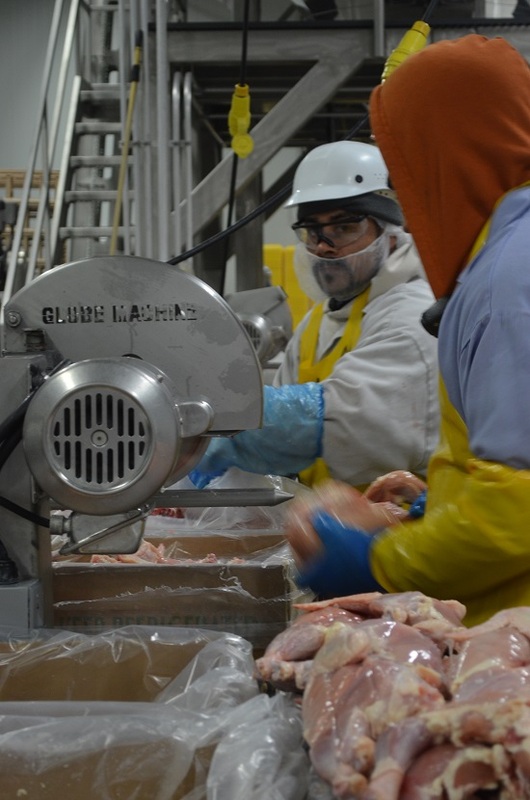 “We realized from the beginning that to succeed as a world class Halal chicken producer, we would have to meet, and even surpass, the highest standards of the mainstream food industry,” said Adam. Crescent products currently carried at Wal-Mart include whole chicken (bagged), boneless skinless breast fillets, leg quarters, thighs, boneless skinless thighs, drumsticks and wings. The number of products and outlets could increase in the future if all goes well. Adam talked about the increase in Halal products around the world. 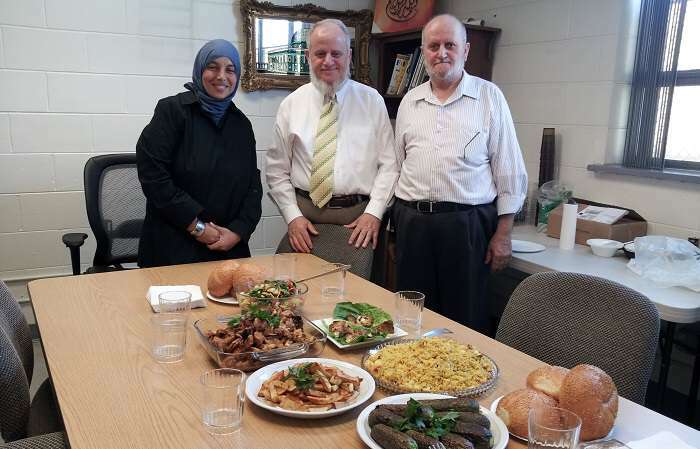 “We are really seeing Halal developing as a global movement now, and of course the USA, with a well-established Muslim population of around 8-9 million people, is a big part of this movement,” he said. For more info about Crescent, including their complete product range, visit www.crescentfoods.com, or call 800-939-6268.